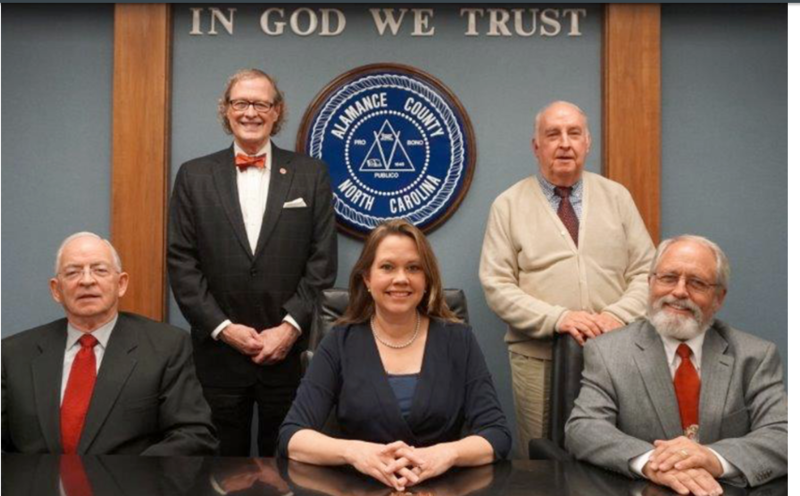 Alamance County Commissioners unanimously voted this morning to approve a resolution opposing the MVP Southgate, a controversial natural gas pipeline project planned for northwest-central North Carolina. MVP Southgate would enter Alamance from Rockingham County, then run diagonally from the northwest corner and continuing near Graham and Haw River. Like many landowners and environmental advocates, the commissioners said they were concerned about the potential harm to the Haw River, which the pipeline would cross twice, drinking water, erosion, public safety and property values. MVP Southgate is owned by a consortium of energy companies, including Dominion Energy — a major stakeholder in the Atlantic Coast Pipeline. (In typical convoluted corporate fashion, Dominion is buying a stake in an energy company SCANA, a subsidiary of PSNC, which is a co-owner of the MVP.) The southern extension would begin in Chatham, Va. and enter North Carolina near Eden. The Commissioners are sending the resolution to the Federal Energy Regulatory Commission today. 15-WHEREAS, In an effort to protect the citizens of Alamance County and the County’s natural and cultural resources, the Alamance County Board of Commissioners, at their meeting on September 4th, 2018, directed the County Attorney to send official correspondence to FERC on their behalf requesting that FERC delay the release of the Final Environmental Impact Statement (FEIS) until sufficient information has been received to address the impacts of this project in Alamance County. 22-WHEREAS, Church expansion and cemetery integrity may be adversely impacted by the proposed pipeline. What a great example they are setting! Will be sharing this widely in pipeline ravaged West Virginia!